How do I view my assignment feedback? Sakai Community DocumentationSakai 19 User Guide (English) AssignmentsHow do students view their assignment feedback? Once your instructor has graded your assignment, you can view the feedback on your work in the Assignments tool. Zoom: Click on an assignment. Click on the title of an assignment to view the feedback for that item. Note: Assignments which display Returned in the Status column have been graded and the feedback released for student viewing. Your assignment and feedback will be displayed. The title, student name, submission date, grade, and submission history appear at the top. 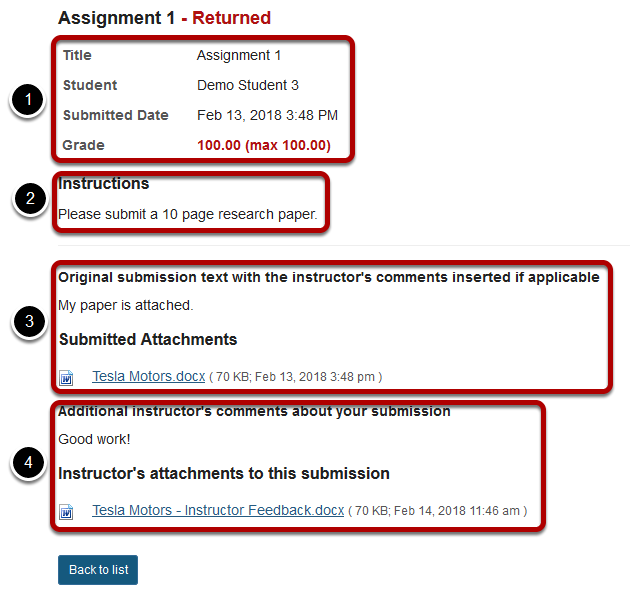 The original assignment instructions and attachments appear below the submission and grade information. Your submission and/or attached files display below the assignment instructions. Instructor comments and/or attached files appear at the bottom. 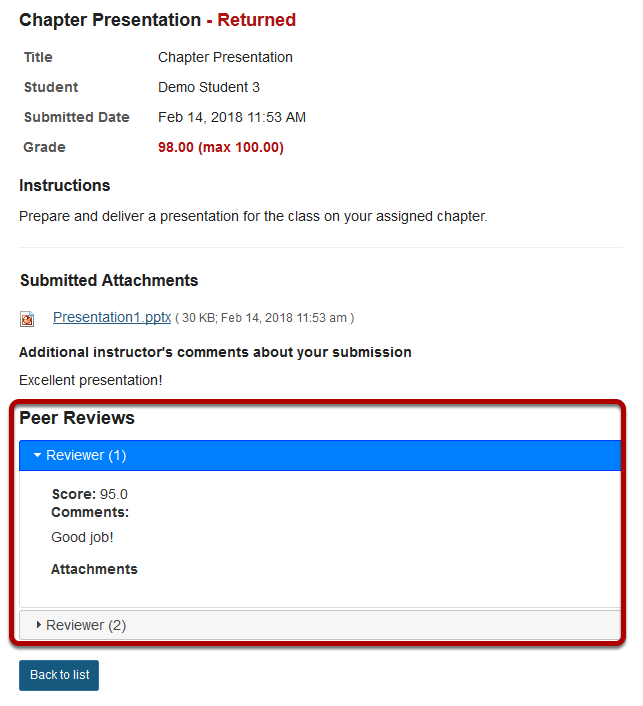 If your assignment had a peer assessment component, and your instructor has allowed students to see peer reviews of their own work, you will also see peer reviewer comments and/or attachments on the feedback screen. Prev: How do I release assignment grades? Next: How do I change the Assignments tool permissions?